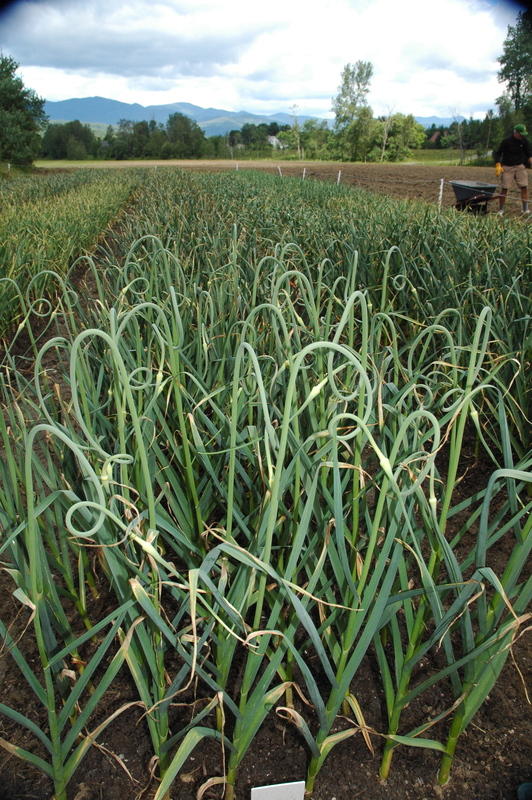 Garlic scapes are a delicious, mild garlic-flavored, brilliant green shoot that grows from hardneck garlic. 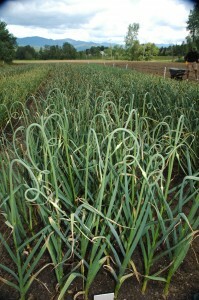 We clip them off to divert that growing energy to the bulb of garlic. These tender shoots are a treasured culinary treat available from late-May thru late June. 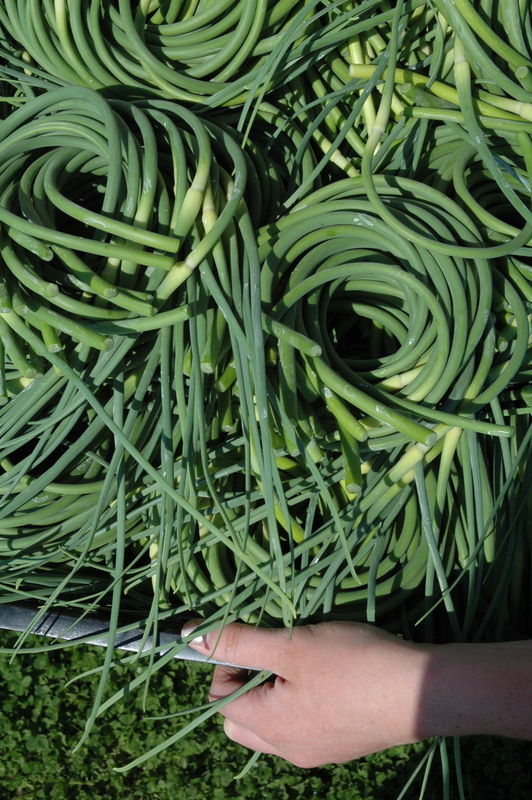 Check out our “Cooking with Garlic” page for some great scape recipes and remember that the scapes make the greenest pesto! 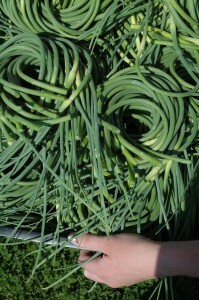 Scapes are also great grilled, chopped fresh in just about anything, sauteed or even pickled. They will last for 2 -3 weeks if refrigerated. They can also be frozen for use throughout the year.